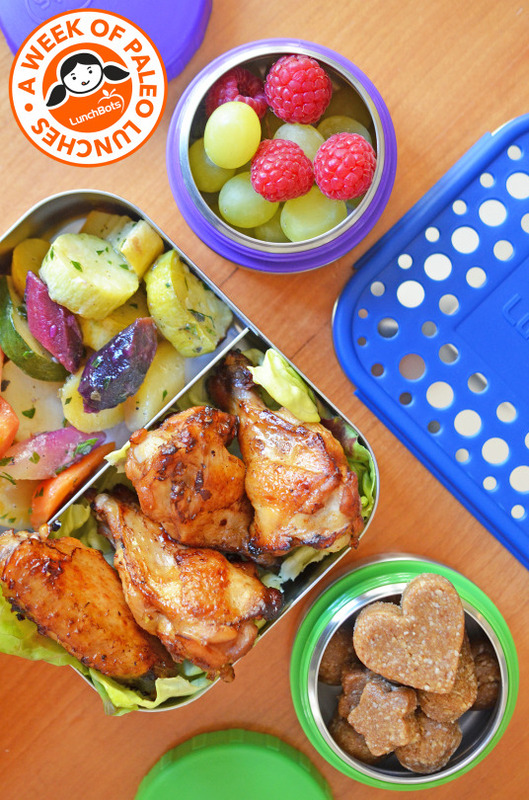 Along with my friends at LunchBots, I’m coming at you with another easy peasy packed lunch idea that’ll make use of your leftovers! The simple act of doubling the amount you cook for dinner can mean the difference between having a delicious, ready-to-eat lunch the next day, or…nothing. Better yet? Everything in this lunch tastes great cold! At dinnertime, bake a double portion of Damn Fine Chicken. I recommend marinating two separate batches: one batch with drumsticks for dinner and another one with wings and drummettes for packing in lunches. 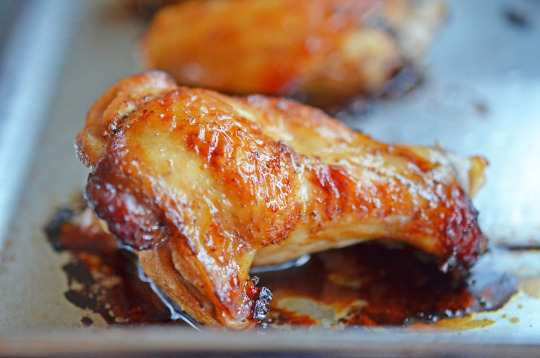 Wings and drummettes will cook in about 30 minutes—faster than drumsticks!—so start checking them at the 20 minute mark to make sure they don’t overcook. While the chicken’s in the oven, whip up some Asian Cauliflower Fried Rice or toss a giant green salad, and you’re all set for dinner. 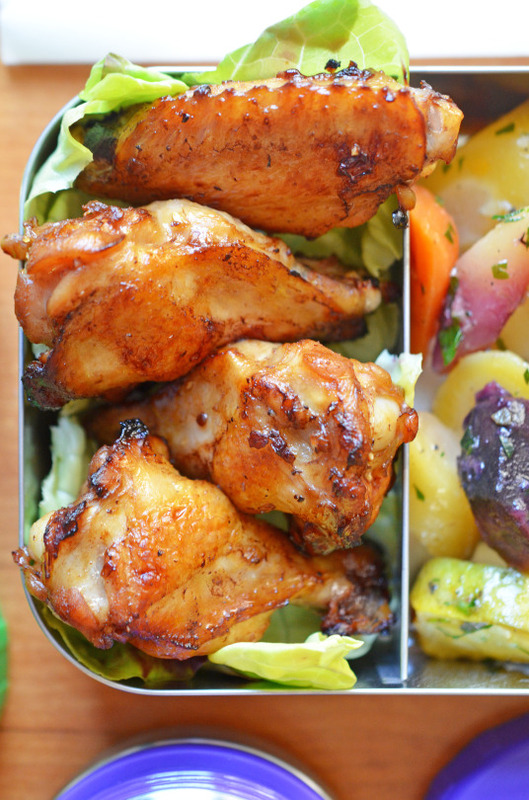 When you’re ready to pack the next day’s lunch, grab a few wings and pair them with a pile of roasted vegetables. Wait—what roasted vegetables, you ask? I always keep containers of leftover roasted vegetables in the fridge ’cause that’s my standard weeknight side dish. Besides, it’s fun to mix up vegetables from different suppers. 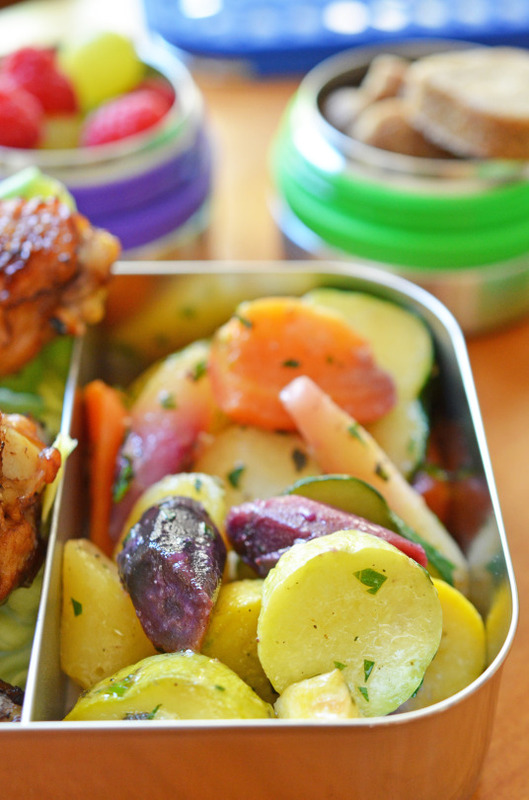 Remember: most cooked vegetables can be stored in the fridge for about a week, so don’t feel like you have to just keep eating what you ate the night before. Plus, they taste great in packed lunches. 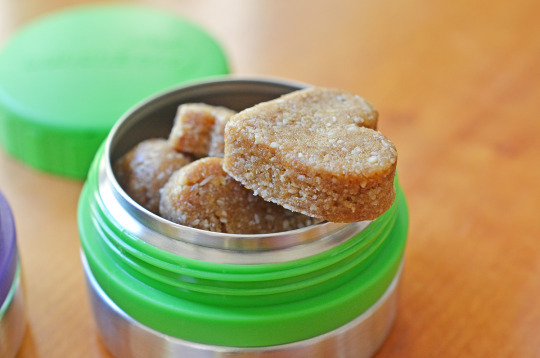 …or you can make Liar Bars (recipe available in our cookbook) and cut them into cute shapes. For those of you who need to stay nut-free, Paleo Comfort Foods’ Date Balls are a tasty alternative! See? 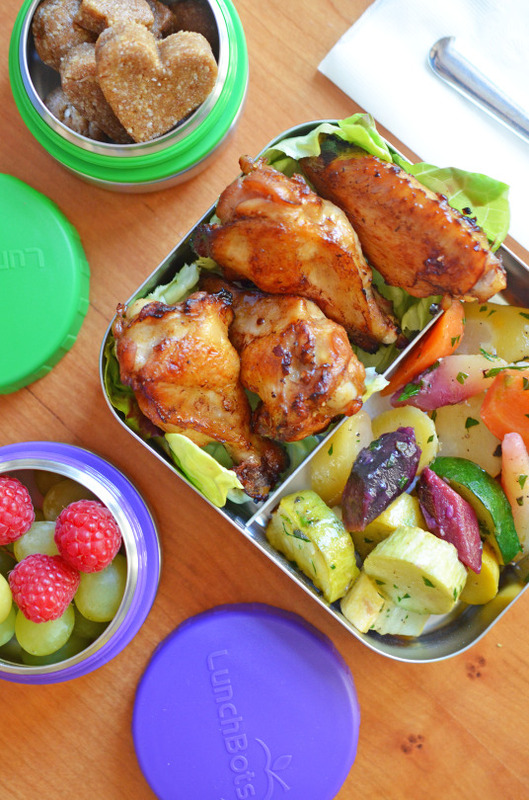 Leftovers are lunchtime lifesavers! 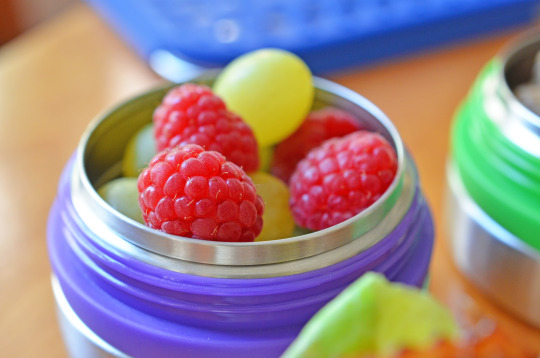 That’s three packed lunches down and two more to go! 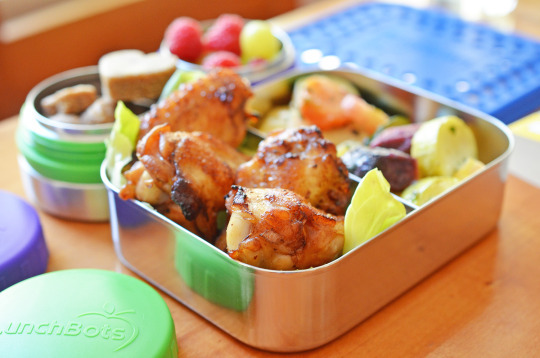 While you wait, don’t forget to read up on this comprehensive round-up post of Paleo packed lunches from years’ past!